After years of waiting the Lord of the Rings trilogy on Blu-ray Disc has finally hit the shelves. Peter Jackson’s masterpiece of movie making based on J.R.R. Tolkien’s even more masterful portrayal of a fictional middle earth comes as a box set of nine discs consisting of 3 Blu-rays and 6 DVDs. Unfortunately, these are the theatrical versions of the films, but you may find some consolation in the fact that the set also comes with 3 digital copies for your PC, iPod, phone, or other mobile device. 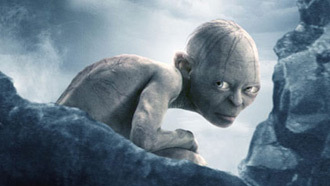 The Lord of the Rings: The Motion Picture Trilogy is formatted in 1080p VC-1 at 2.40:1 aspect ratio. Audio is DTS-HD Master Audio 5.1. The hi-def disc transfer is nothing to get overly excited about but on the positive side “It’s finally out.” LOTR has been broadcast in HD on television so we’ve already got a glimpse of what the films look like in hi-def video, but the detail 1080p adds gives viewers (although inconsistent) a completely fresh presentation of the films. 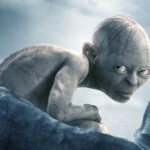 For die-hard LOTR fans the question remains how long will it take Jackson to release the extended versions? Rumors are it may take years so for now the theatrical versions will have to do.